Daniel furiously blames Steff while Sinead reveals Steff only has days to live. Ken offers to give them a lift to the hospital meanwhile, desperate to help Sinead, Beth finds a specialist cancer clinic in Germany but realises it would cost thousands. At the hospital, Daniel tells Ken the truth about Sinead as she is told the cancer has spread and she needs to start chemo as soon as possible. Sinead tells Beth the news. As Carla takes money from the safe, Beth clocks the combination, her mind whirling. Brian offers Liam a role in the nativity but after watching the dress rehearsal, Phil orders Brian to rewrite it by the morning. Overworked and clearly stresses, Brian goes to make a start but suddenly he faints, hitting his head on the table as he collapses. Jenny is immediately suspicious when Liz asks if she can slip off for an hour, worried that she is meeting Johnny. But Liz meets up with Mike, who invites her out for dinner. Having followed Liz on the trailer app, Jenny is pleased to see Liz kissing Mike outside the cab office. Toyah is furious to learn of Nick’s plans to move in to the flat. Liam finds Brian unconscious in the staff room and Phil helps Brian to his feet. Phil taunts Brian that he appears to be stressed and that teaching is not for him, but Brian assures him he is committed. Cathy’s horrified to hear from Maria about Brian’s collapse but Brian plays it down. Beth eyes up the money in the safe but is interrupted by Kirk, leaving him suspicious. Sinead attends chemo with Daniel, telling him she is sorry and revealing that Ken has secretly being paying for her complementary treatment. 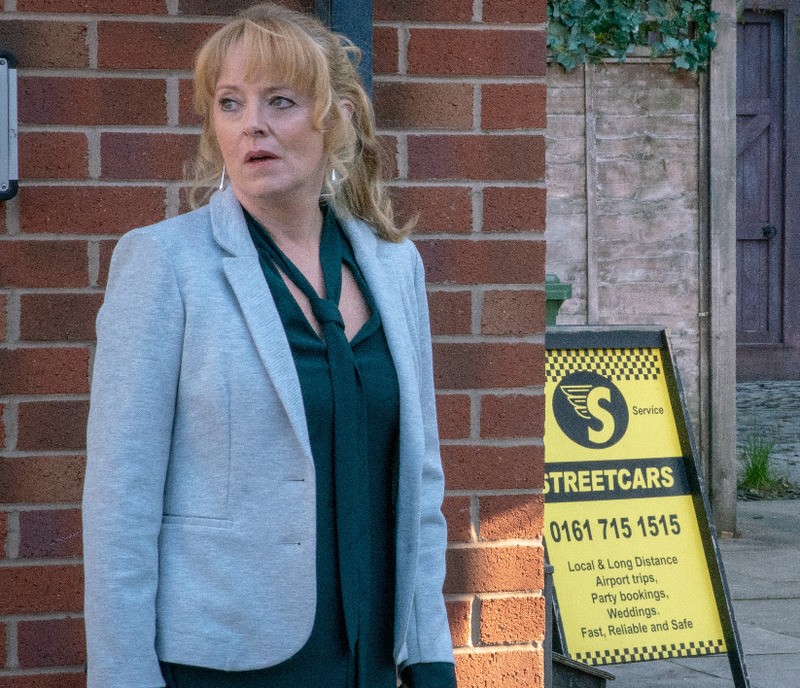 Meanwhile, Beth suggests that Chesney steals the takings from work to fund Sinead’s treatment, making out he was mugged. Liz blows off plans with Eileen for dinner with Mike at the bistro. Eileen confides in Jenny how Liz has been taken ill but Jenny knows Liz’s whereabouts thanks to her tracker app so she asks Eileen to pop over to the bistro for a favour. Liz, spotting Eileen, dives under the table to hide. Nick and Leanne are shocked to find Toyah and Imran canoodling on the sofa. Toyah drops the bombshell that Imran is moving in too. Chesney is torn over Beth’s plan until he finds a distraught Sinead having received the news that Steff has died. He tells Beth he is in and Beth reveals to Kirk that he has to mug Chesney. Chesney collects the shop takings from Dev and out on the street Kirk snatches the bag from him. Dev gives chase as Kirk sprints away. After Phil drips poison in Cathy’s ear, she summons Brian home from work, confronting him with the caffeine pills she found in his coat. The doctor diagnoses Brian with heart palpitations and after being bolstered by Cathy, Brian tells the headmistress that Phil is making his life a misery. 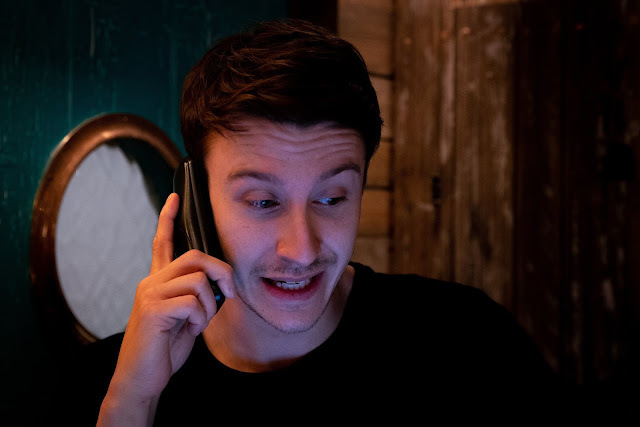 Robert tells Michelle that he has a secured a last minute place on a training course but secretly joins Kate for an initial consultation at the fertility clinic. Meanwhile the lights blow out at the bistro and so Ryan phones the training college only to learn Robert isn’t enrolled. Michelle confides in Carla that her and Robert are at odds over his desire for a baby and now he is lying to her. Deciding the four of them need to get along, Leanne orders them and Toyah to join her for lunch in the Bistro. 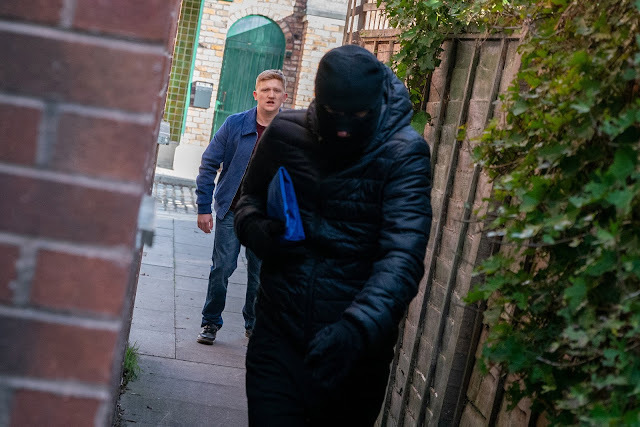 Sinead is touched when Beth presents her with the cash to fund specialist treatment but after she clocks a balaclava on the table and Dev and Cathy later tell her Chesney was mugged, her mind whirls. Sinead calls at the shop and hands over Dev’s bag of money, claiming she found it dumped by the bins. Later, Dev examines his CCTV with Cathy and when there is no sign of Sinead by the bins, they wonder why she’s lying. Phil makes a heartfelt apology to Brian after being summoned to the headmistresses office, and Brian is confident things will now improve. Michelle demands to know where Robert’s been. He tells her he just needed time alone to think but Robert hates lying to her. When Michelle enquires about counselling for a matter related to Ruairi, Toyah offers to recommend a colleague. 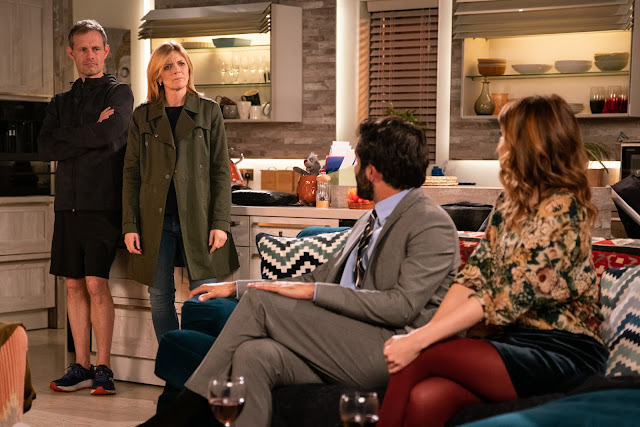 Nick admits to Leanne that money’s really tight as he’s got to pay back Elsa the £40K of her inheritance that he used to buy into Underworld. As Robert and Kate arrive for their appointment, Robert spots Michelle leaving her counselling session and panicking, bundles Kate in to a cupboard. After their session, Robert announces to Kate that he wishes to go ahead with their plan and they both know they need to tell Michelle and Rana. 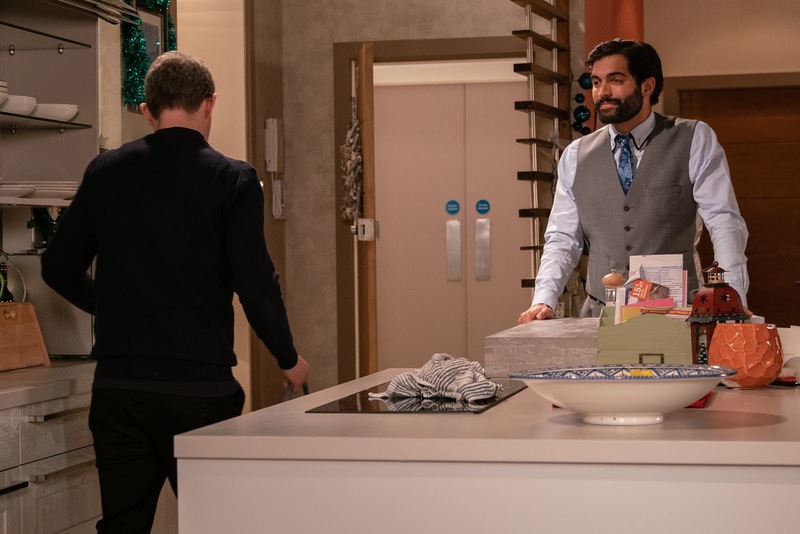 Kate tells Rana they need to talk but before Robert can talk to Michelle, Michelle reveals all about her counselling session and that she will consider trying for a baby, leaving Robert to forget about his commitment to Kate. When Dev threatens to get the police to interrogate Sinead, Chesney takes the rap for Beth and confesses to a shocked Dev and Cathy that he dreamed up the plan to fund Sinead’s treatment. How will Dev react? Brian’s alarmed when Phil and the headmistress to observe his class without prior warning. Nick tells Leanne that he has no choice but to sell his car for cash. Tyrone ropes in Roy to help find Cerberus and lift Elevely out of her misery. As Kate waits to speak to Rana at the medical centre, will Robert reach Kate before she tells Rana their plans? Daniel firmly places the blame at Beth and Chesney’s door, arguing the stress of their plan is too much for Sinead. Brian admits to Cathy that he might lose his job and her heart goes out to him. Roy and Tyrone tell Evelyn that they have seen a man leaving the tram with Cerberus, claiming the greyhound was his and Evelyn ropes in Roy with his car to help with the search. Imran offers to buy Nick’s car at a knock-down price. Audrey tells Rita that Archie Shuttleworth has died.